Stunning 2-story 2 penthouse in the Jack Thompson Lofts. 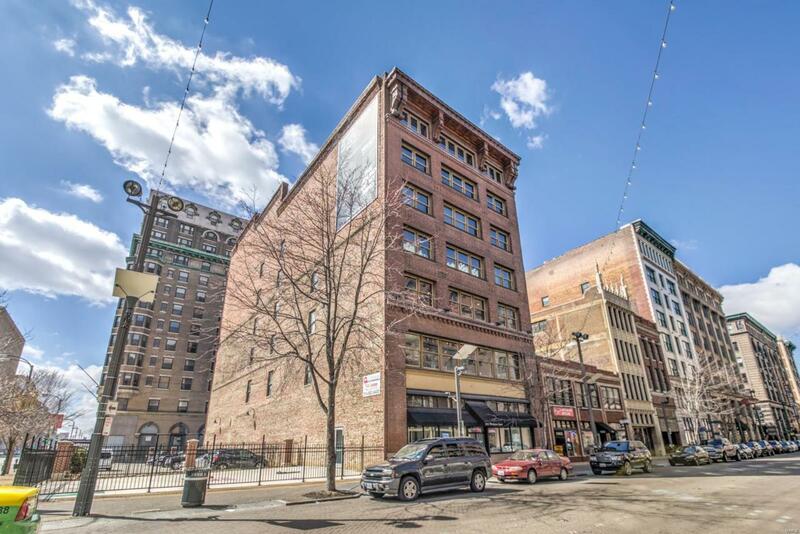 Exposed brick, heavy timbers, soaring 20 foot ceilings and a wall of windows overlooking WASH AVE and all the action. Main floor living area is over 2000 square feet of open space with large kitchen, dining and living spaces. Incredible floating staircase leads to the 2nd floor with 2+ bedroom suites and a loft area totaling an additional 1000 square feet of space with room to add a third bedroom. The master suite is a show stopper with an incredible closet and bathroom. Two gated parking spaces. Walk to Cardinals games, Blues games, the City Museum and some of STL's best dining and nightlife.